Why Do We Only "Rest in Peace (R.I.P.)?" A few weeks ago I came across A Great Work by Brian Courtney Wilson and the lyrics immediately caught my attention. The vocals and music are masterfully performed but it's the lyrics, particularly those that I am going to explode in this post that struck a chord (no pun intended) with me. I write this post 150 miles from where the Rev. Dr. Martin Luther King, Jr. and his wife Coretta are entombed giving this post that much more significance for me. In fact, yesterday, July 26th, my daughter and me shared some bonding time as we took that 150 mile ride to Atlanta to visit the World of Coca-Cola, the Center for Civil and Human Rights Museum and the King Historic District. As I toured these locations, the words from Mr. Wilson's song kept playing over and over again in my mind and spirit. So I decided to provide my interpretation of a portion of the song that in my mind powerfully speaks to how our outlook and perspective ought to drive our behavior and aspirations. I'll place my interpretation in italics in parentheses under the bolded lyric lines. I am inspired by A Great Work each time I hear it. I listen to these words repeatedly and they hit me as if I were hearing them for the first time each time I listen to the song. It is my hope that my interpretation will spark some thinking, reflection, debate, and ultimately action. It is my hope that we will all strive for greatness and stop settling for mediocrity or just any old thing done in any old kind of way. Join me live each Saturday from 6-9 a.m. ET as I webstream around the world on gobrave.org and broadcast locally on FM radio in the New York/New Jersey Metropolitan area on WP88.7 FM. I also invite you to follow me on Twitter @readingcircle01, thinkcritical01 and on Instagram @readingcircle01. 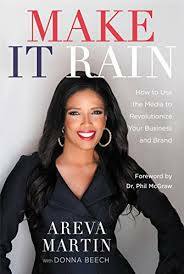 Just finished reading MAKE IT RAIN by Areva Martin, posted my 5 Star review on Amazon and Goodreads and decided to make it my book of the month for July in this blog (see sidebar section on the left). I won't give you all of the details as I encourage you to get a copy for yourself, read it and add the strategies to your marketing/branding toolkit. As one who is looking to "make it rain!" I found the strategies and tactics outlined by Ms. Martin to be well thought out and actionable. 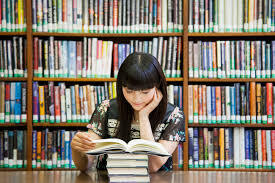 I already have begun using Ms. Martin's coaching for making it rain with my radio show The Reading Circle with Marc Medley, this blog, The Critical Thinker and my podcast The Marc Medley Show. So if you are looking to take your brand up a notch or two like I am, I highly recommend MAKE IT RAIN. I invite you to comment in the comment section of this post as well as listen to me live each Saturday from 6- 9 a.m. Eastern Time as I webstream around the world on gobrave.org and broadcast on FM radio in the northern New Jersey and Metropolitan New York areas on WP88.7 FM. I also invite you to follow me on Twitter @thinkcritical01 and @readingcircle01. 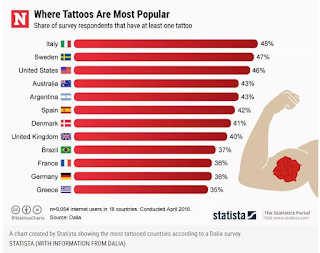 Where In The World Do We Find The Most People With Tattoos? Think You Know? I was listening to the radio in my car on Friday morning (6/29/18) and a similar question to the title of this post was raised. I am paraphrasing but it went something like, which country on a per capita basis had the highest population sporting one or more tattoos? Callers called in guessing which country it might be in the hopes of winning whatever the offered prize was for the correct answer. I listened hoping that the answer would be given before I reached my destination and lo and behold it was. I was guessing in my mind and even thought maybe the United States might have had the highest based on what I see around me on a daily basis. I listened as the DJ's told caller after caller that he/she was wrong until finally one caller gave the answer of Italy and was told that she was correct. The DJ's proceeded to give the top three countries of which the U.S. placed third. Alrighty, get ready to place this in your "I don't know why I need to know this" trivia file; the top three countries are (1) Italy-48%, (2) Sweden-47% and (3) the United States-46%. I had been looking for an angle to post about tattoos and tattooing and this survey and radio show contest provided me with the opportunity. Tattoos are not my thing as I have no interest whatsoever in turning my body into a canvass; however, as the data suggests, there are many who do. In this arena, I say, to each his/her own. You won't be finding me with anything permanently inked on my body. The world record holder in the number of tattoos is Gregory Paul McLaren whose skin is 100% covered with tattoos. After him comes Tom Leppard born 1934. His skin is covered with tattoos “only” 99.9%. The most effective way of tattoo removal today is laser removal. The laser breaks large pigment particles into smaller so a body can absorb them and rid of them in a natural way. 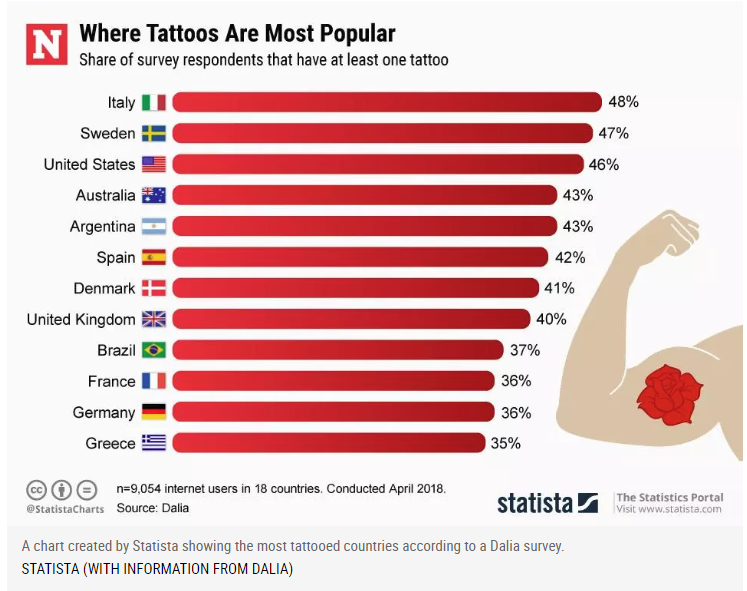 Today, at least one-fifth of adult United States has at least one tattoo. For those that love tattoos but don't want one to last them forever, there are temporary tattoos applied with henna, ballpoint pen or as a water-soluble sticker. So, for those of you who are tattooing for whatever reason, you are in good company. Nearly half of the United States population of consenting age has at least one or more tattoos. It's not for me but for those of you who love it, more power to you. I would love to hear your thoughts in the comment section of this blog or on Twitter @thinkcritical01 or @readingcircle01. I invite you to join me live each Saturday from 6-9 a.m. Eastern time as I webstream around the world on gobrave.org and broadcast on FM radio in northern New Jersey and New York City on WP88.7 FM. The other day I was perusing my social media sites as I do on a daily basis and came across the question in the photo displayed to your left in a LinkedIn post by Sony Music Songwriter/Artist Terrell Fure'. The question leaped off of the screen at me because I've asked this same question for years and was glad to see that I do not think about this by myself. Seriously, think about what the question is asking. It's amazing how our final wish for the deceased is for him/her to rest in peace. In many instances, the deceased did anything but live in peace and yet we are wishing for him/her to rest in peace. Now, I'm not wishing anything bad on anyone who is deceased or alive for that matter, but the post does beg the right question. What is it that is stopping us from living in peace? I write this in the wake of yet another deadly shooting; this time it was five killed and others wounded in a shooting at a Maryland newspaper, The Capital Gazette. As of this writing, there have been 154 mass shootings in the US so far in 2018. So why is it that we can't seem to live in peace? Is it that hard to love our neighbors as ourselves or could that be the problem, too many of us don't love ourselves. We hate ourselves so much that it does not phase us to spew that same hatred onto others who have absolutely nothing to do with us. Most of the victims who are killed in these mass attacks have never met the shooter or attacker. The victims are in most cases innocent bystanders who happened to be in the wrong place at the wrong time. For many, it seems that they are just not happy unless chaos is going on(our President notwithstanding). They are not happy unless we are living in discord. I don't get it. Ironically, I'll bet all of those who sow disharmony at one point in their lives have wished for a loved one to "Rest in Peace." 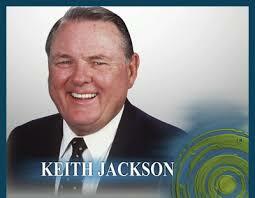 There is a verse in the Bible that says "Blessed are the peacemakers, for they will be called children of God." Maybe that's it! Maybe there are a significant number of people who don't want to be called "children of God." There has to be a reason for us not being able to live in peace. Our families, communities, states, and countries would work so much better if we all indeed found a way to live in peace. Why wait until we are in our final resting places to have peace? Maybe some of you readers out there can help me and Mr. Fure' out. 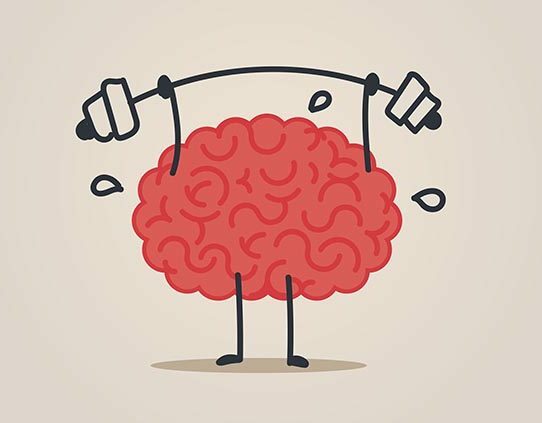 If you think you have the answer, please leave a comment in the comment section of this blog. 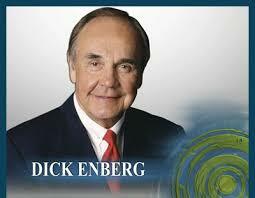 I also invite you to hear me live each Saturday from 6-9 a.m. ET as I web stream around the world on gobrave.org and locally in northern NJ on FM radio WP88.7 FM. I also invite you to follow me on Twitter @thinkcritical01 and @readingcircle01. Let's all make every effort we can to live in peace! I write this post a day after Father's Day, a day set aside to celebrate fathers and fatherhood. History.com provides an excellent historical synopsis of how this particular holiday began and I urge you to visit the hyperlink reference above to learn more. You'll learn information such as the fact that there are more than 70 million fathers in the United States (Bet ya didn't know that). 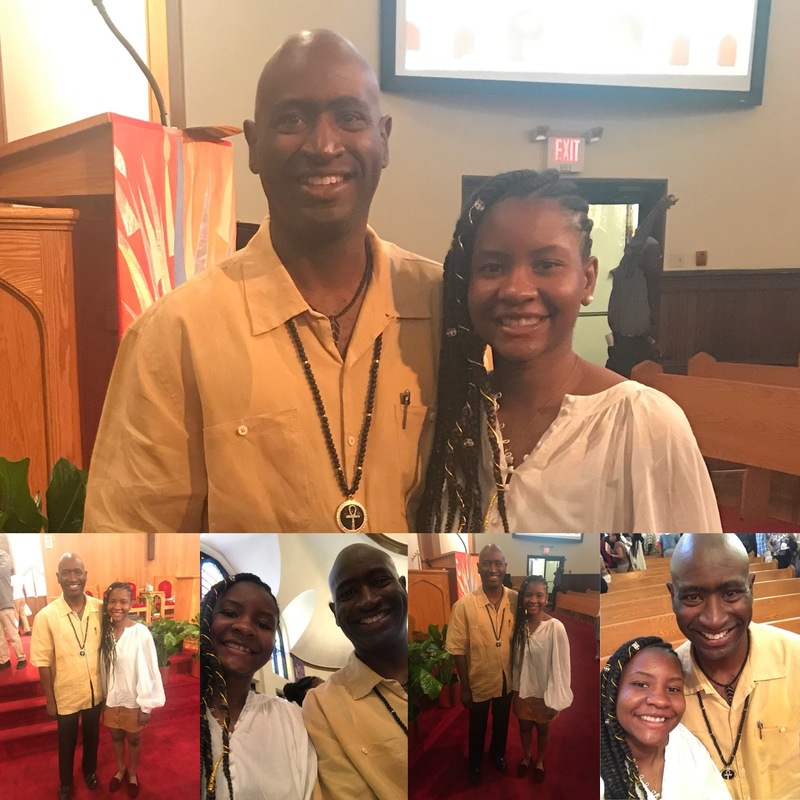 The prompting of this post stemmed from my Father's Day 2018 experiences which began at a Father's Day breakfast at my church. 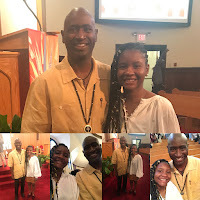 The day proceeded with my daughter sitting with me during our church service, my visiting my own father's gravesite, being taken to dinner by my wife and ending with my daughter taking me out and treating me to an ice cream dessert. Father's Day 2018 ranked right up there on the top of the list as one of my best celebrated Father's Days in several years. 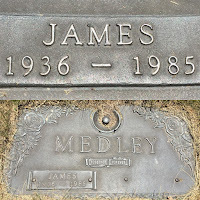 As I stood beside my father's gravesite, I found it hard to believe that 33 years have gone by since his sudden passing one week prior to his 49th birthday in 1985. Fond reflections of my childhood days with my father ran through my mind as if I were watching scenes from a movie. 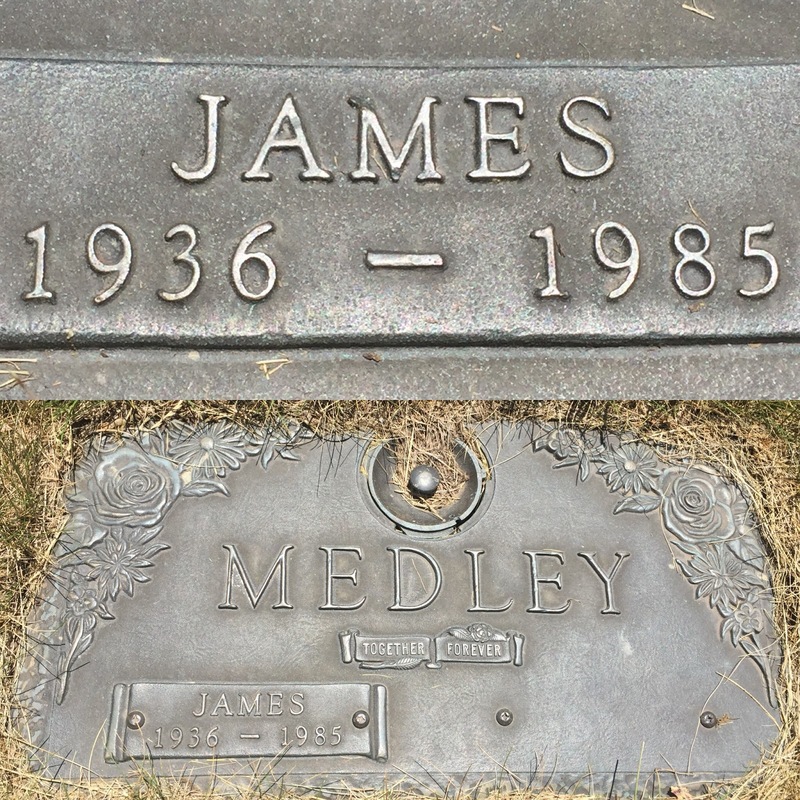 As I brushed some dried blades of grass off of his headstone, I could hear his voice, his laugh and even see some of his facial expressions. As I stood there, I reflected on my own experiences of being a father and it dawned on me why we pause to celebrate and commemorate on days such as Father's Day. As we annually interrupt our daily or weekly routines to acknowledge people or events, it can be easy for us to reduce the moments to just another "Hallmark Card" day that we take for granted instead of really taking the time to do what the breather from the norm was designed for. It behooves us to reflect, revere, remember, celebrate, commemorate, acknowledge, recommit, refocus, and respect whatever or whoever the various days honor. Depending on where one is or what is going on in life, these days can bring up a wide range of emotions and they can vary like a roller coaster from year to year. I mentioned above how Father's Day 2018 was one of my best in recent years because, for some years, Father's Day was not good for me based on what was going on in life at that moment. Another example might be someone who lost his/her father to death between Father's Days and is celebrating Father's Day for the first time without his/her father. Examples such as these can be applied to any of our holidays. Lastly, if at all possible, do whatever you can to take in the spirit of each holiday to the fullest because we really don't know when we are celebrating our last one of whichever one it is. Many loved ones pass away from one annual holiday to the next. We don't know when it will be our last Mother's Day, Father's Day, 4th of July, Memorial Day, Labor Day, New Year's Day, Christmas, Hanukkah, etc. etc. or the last one our loved ones will be with us. Take these wonderful opportunities to enjoy your family and friends and take some time during each holiday to reflect, revere and remember. Hear me live each Saturday from 6-9 a.m. ET as I host The Reading Circle with Marc Medley radio show on gobrave.org(web streamed around the world) and on FM radio 88.7 FM in northern NJ. I invite you to follow me on Twitter @thinkcritical01 and @readingcircle01.